Tan is made of small details that I soldered on a sterling silver sheet with floral and vegetal patterns. 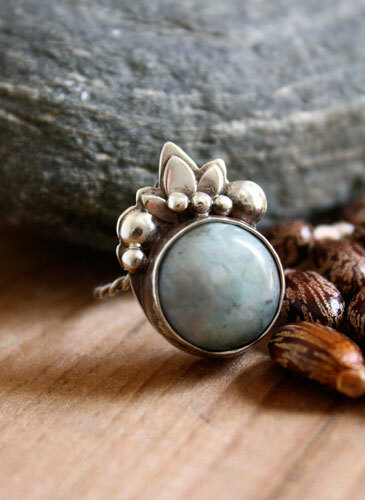 This ring has a little touch of India inspiration. 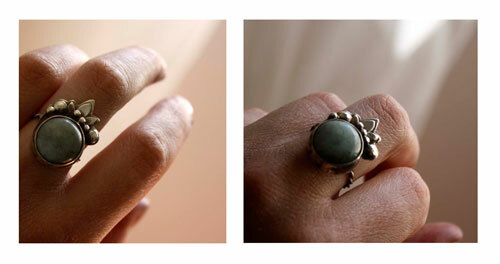 It shows a cabochon of light blue turquoise. Small sterling silver balls are soldered on the lower part of the earrings. 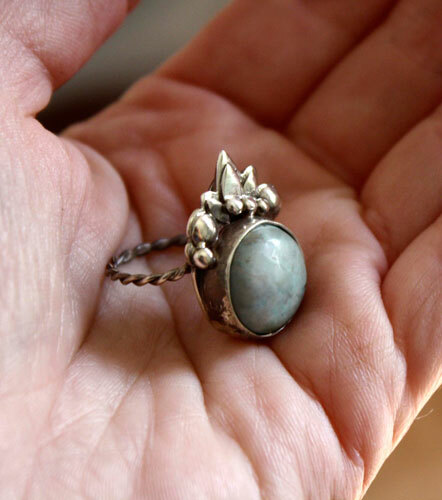 This turquoise has been set in a rutic way (quite large) in order to let it spin freely inside the set allowing the patterns of the stone to rotate. I made this set to strengthen the raw aspect of this jewel. This jewel will fit a person who likes raw finish. This ring is really one of a kind. It is signed with my initials on the back. 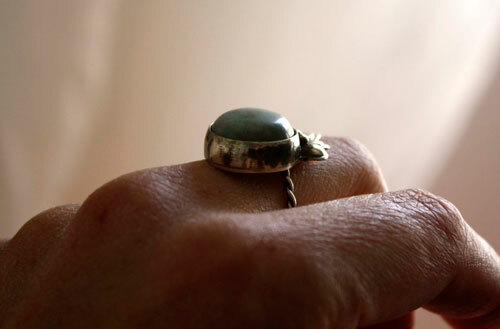 The ring is made with a twisted sterling silver wire. Polished and oxidized finish.